Just like Niles in my last blog post, Albion isn’t a place I get to very often. In fact, I can probably count on one hand the number of times I’ve gotten off the highway in the small town right before the Jackson County Line. I had a work assignment in Albion recently with a co-worker from Grand Rapids. She met me in Kalamazoo then we drove the forty five minutes east on I-94 to exit 121. We accomplished what we needed to accomplish for the day then started talking about lunch. We didn’t have a lot of time and I noticed a familiar name in an unfamiliar location. I assumed it was the same shop I stopped at a few years ago but moved to a downtown location. 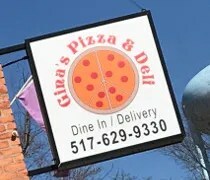 Gina’s Pizza & Deli is on Clinton Street just north of Michigan Avenue on the edge of downtown Albion. 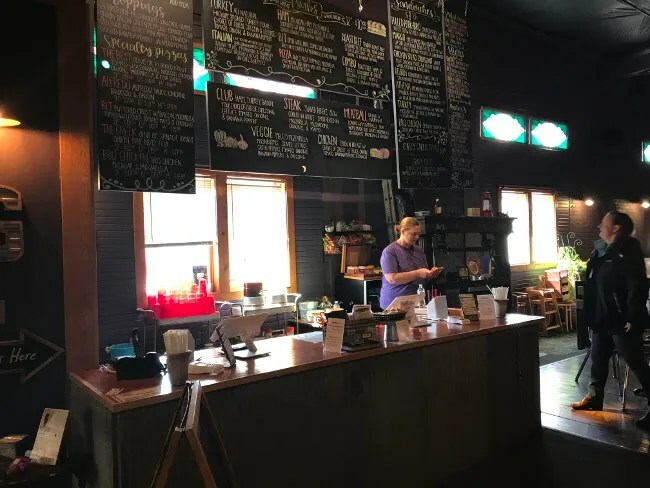 The restaurant is in the old freight house of the Albion Train Depot. 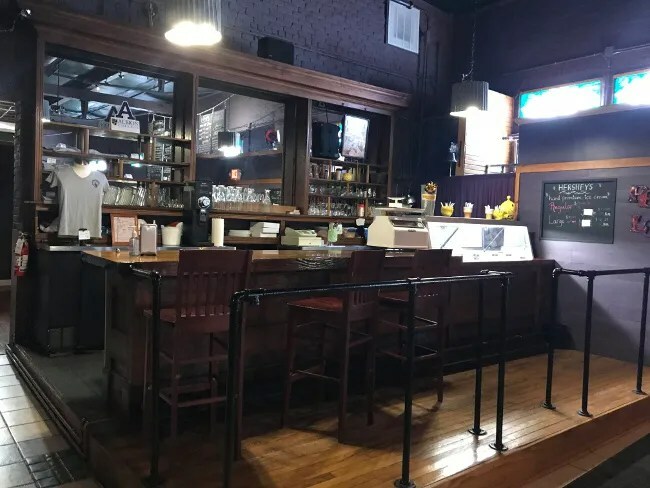 The freight house was restored several years ago and became a sports bar called Davan’s, but that place went out of business about six years ago and has been vacant every since. The first time I stopped in Albion for lunch, Gina’s was in a different location. They were on the east side of town in an old bank. They outgrew that location and found this one downtown that is a little bit bigger. My co-worker was a little concerned when I pulled up to the building. 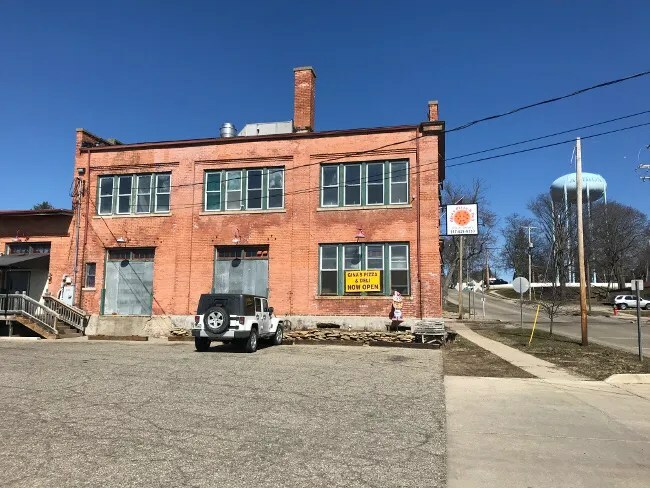 The outside still looks like a dilapidated freight house. The entrance is on the side of the building and it’s a large steel door. You really can’t see into the building from the outside which gave her a little pause. Since I recognized the Gina’s name from a previous experience, I was confident that she was going to like it and gently pushed her through the door. The restaurant is set up pretty similarly to the old restaurant. It’s still and order at the counter place. That order counter is just inside the door in a space that was created to do just that. The menu hangs above the cash register and is handwritten in chalk. 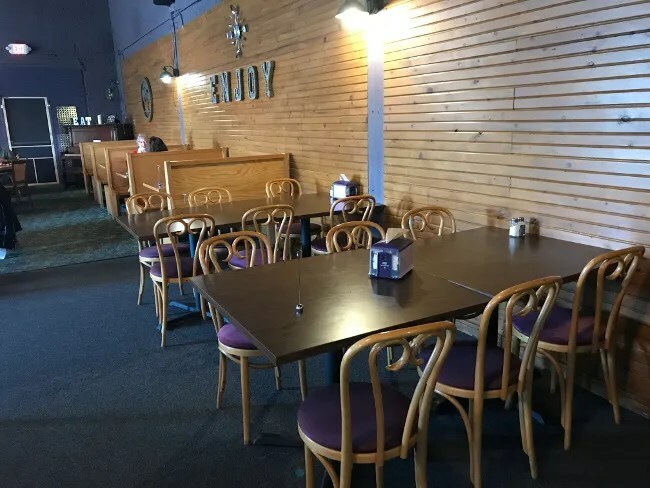 The dining room is quite large with a variety of seating. There are booths along one wall and tables spread throughout that can be combined for larger groups. There isn’t a whole lot of natural light that gets in to the building. There are windows along one of the outside walls that let some in, but they attempt to brighten the place up with light colored woods and a soft color palate on the walls. The place still has a little bit of that sports bar feel just because the building is so old. There’s not a lot of opportunity to take advantage of the light the sun puts off, but they make pretty good use of what light they do get in the building. A cool feature that the old location didn’t have is hand-dipped ice cream. They make use of the old bar to give it kind of an old soda fountain kind of feel. They have Hersey Ice Cream in a cooler at one end of the bar and bar stools to hop up on if ice cream is the only reason you’re there. Pizza was actually sounding pretty good to me, but we both went with sandwiches. I ordered a sandwich called Margo. This one is actually an open faced sandwich. The buns are topped with home made bleu cheese dressing, ham, turkey, tomato, and mozzarella cheese. It’s then baked to crisp up the bread and make the cheese a nice golden brown. The sandwich was pretty tasty. The menu just listed “home made bleu cheese.” They didn’t’ specify that it was dressing. It didn’t really matter. I would have ordered it either way. It still had that delicious, tangy bleu cheese flavor throughout. There was also a lot of mozzarella on top. 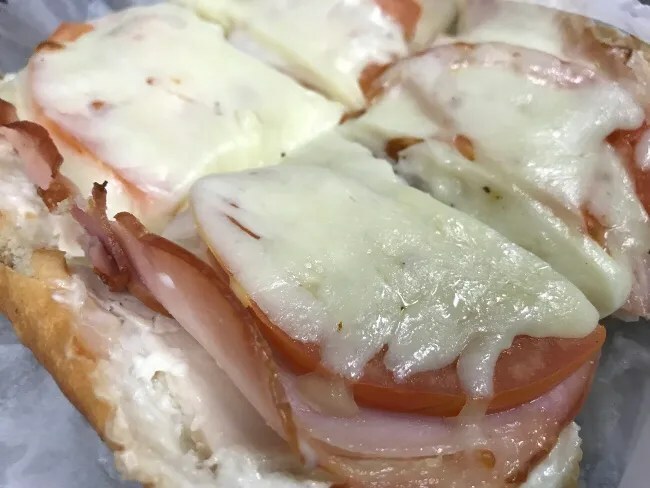 The sandwich was a melty, gooey mess. It came with a small side of pretzels and a pickle spear. The cost for my meal was right around $10 and I can’t complain about that for a sandwich. Gina’s Pizza & Deli seems to be a pretty popular place in Albion. I’ve stopped in the old location during off hours and this one just after the lunch rush and both times it has been pretty busy. It’s nice to have options like this in town. You can get a quick, tasty lunch that’s not fast food and it won’t break the bank.